Scott Witters, IE MBA alumnus, was the CEO of New Zealand’s flagship festival business, Rhythm Group, for 10 years and part-way through that time realized that there had to be a better way to run his festival. He started by using a local RFID provider to provide cashless services and then came to realize that he could transform an industry by setting up his own RFID business. 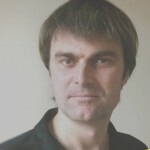 In late 2012 he set up Glownet in the UK to transform music festivals worldwide. Glownet is a revolutionary end-to-end system that empowers you with the latest RFID technology, delivering transparency, contra and engagement across your entire event. Working the entrepreneurial ecosystem. There is a lot of buzz around startups yet you must remain persistent if it is going to happen. I put too much faith in what seemed to be dream propositions from potential partners and/or prospective investors, only to find out they fell flat. This is not as simple as scoring a ticket to ride the roller-coaster. Surviving, even after exhausting all possible options. There have been multiple times I have had to quickly learn to breath underwater. Its not the idea, its all about the implementation. Which inherently comes back to that cliché of investors are placing their bets on the team. Instead of being preoccupied with dreaming up something that is unique, I admire those that see merits in what may be an existing concept yet best formulate the path to realise their vision. The risk/reward for entrepreneurs is immense and it is true that the minority succeed. My advice to those that have entrepreneurial ambitions, and yet still uncertain of which rainbow to chase, is to look at carving a niche from another startup that has reached its growth phase. There are many fast growing startups, such as Glownet, that are challenged with balancing the multitude of new growth opportunities against maintaining focus on their core business. There are many business opportunities that are being being passed by some of these companies yet they would welcome and would be very supportive within a strategic partnership should you wish to take on the challenge.